Inspired by the Eames’ philosophy of “select and arrange,” where the home becomes a fluid and experimental collage of objects that adapt and change over time, Tablescapes provide the foundation for a similar approach to living with objects. 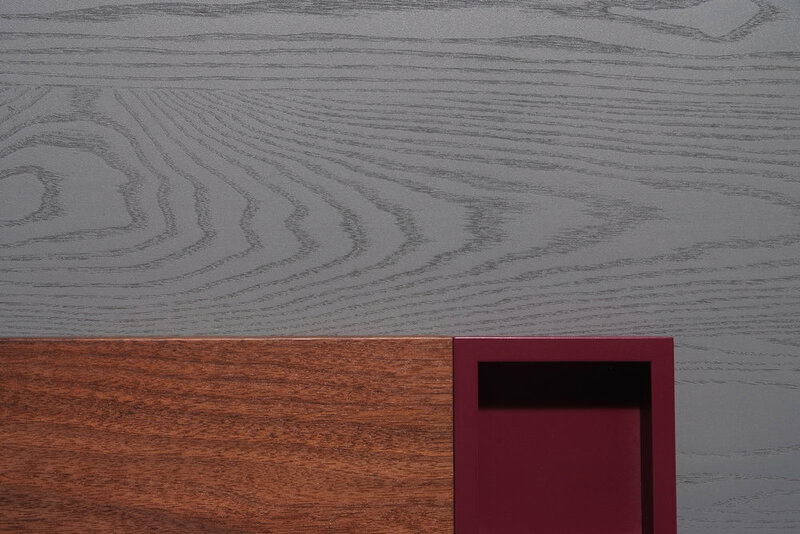 The series includes a long console shelf and coffee table in stained ash and powder-coated steel. 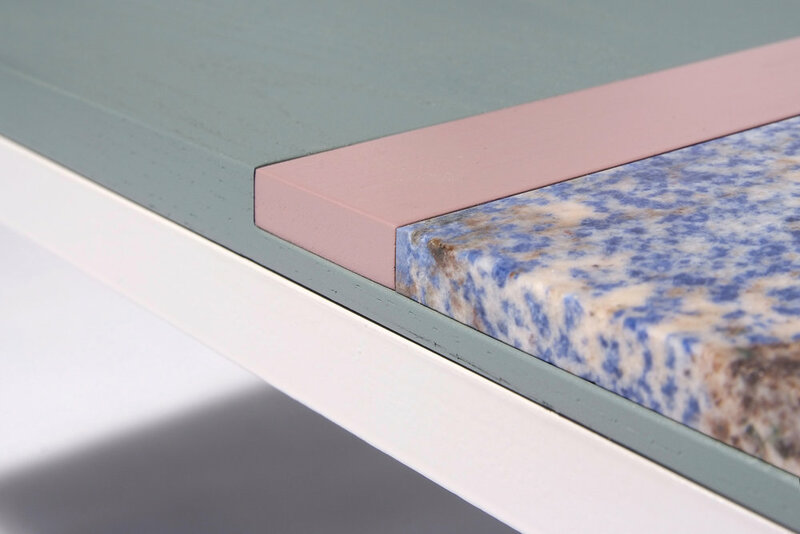 Coloured pine and walnut forms serve as integrated bookends, containers, and raised platforms for objects and vignettes, and slabs of marble offer a resting place for a hot teapot or mug. By selecting and arranging objects along the surfaces, the console shelf and table transform into landscapes of personal souvenirs, books, and ephemera.